Human Events - Dust in the Wind: Time for the EPA to Go! How Fast Can We Turn Things Around? 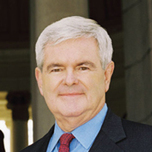 Newt Gingrich testimony before the House Committee on Energy and Commerce. Why the Left's "Use It Or Lose It" Policy Has No Merit.